While browsing Amibay.com today I stumbled upon a thread about an upcoming indie game called Legend of Grimrock. It’s an RPG in the style of Dungeon Master, Eye of the Beholder and Black Crypt. After what I’ve seen so far, the game looks very promising. Can’t wait to play it! I’ve included the game trailer below. It was uploaded to YouTube yesterday and gives you a good impression of what kind of game this is. Enjoy the show! The game brings back the oldschool challenge with highly tactical real-time combat and grid-based movement, devious hidden switches and secrets as well as deadly traps and horrible monsters. 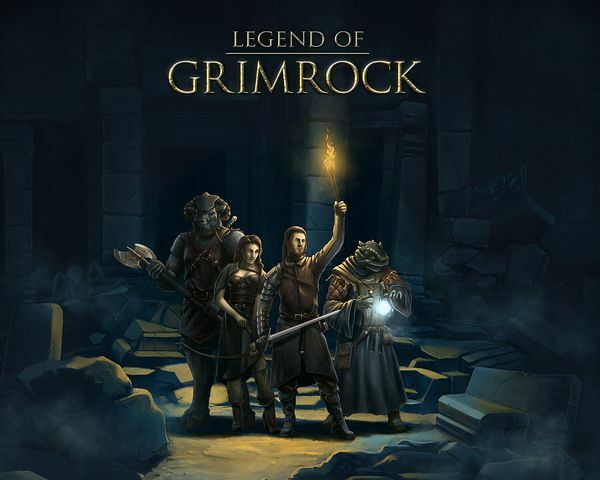 Legend of Grimrock puts an emphasis on puzzles and exploration and the wits and perception of the player are more important tools than even the sharpest of swords could be. And if you are a hardened dungeon crawling veteran and you crave an extra challenge, you can arm yourself with a stack of grid paper and turn on the Oldschool Mode which disables the luxury of the automap! Are you ready to venture forth and unravel the mysteries of Mount Grimrock. It’s worth mentioning that Legend of Grimrock will be available for purchase through both GOG (Good Old Games) and Steam. The release date is set to the 11th of April 2012. Many thanks for commenting. 🙂 I agree with you that the game looks very good. Patience is key with these games, so I can understand that. I actually came in later when it comes to the roleplaying computer and videogames. Although I wouldn’t be against trying this out if I got the chance. Pre-ordering at the speed of light! Sounds quite interesting. I’m 38 years old and trhere is not a game in that style that I did not play. I agree I’m not sure I have the patience for it anymore but I think I will let meself be tempted. Glad to see that you found it interesting. 🙂 Please let us know how it played if you decide to buy it. Thanks.